Durable, washable and reusable plastic products. No harmful chemicals and very safe to use. Screw sealing, good sealing performance with gasket, don't be worry the contents will be spilling out. Used for many applications include industrial, laboratory, personal and hobbies. 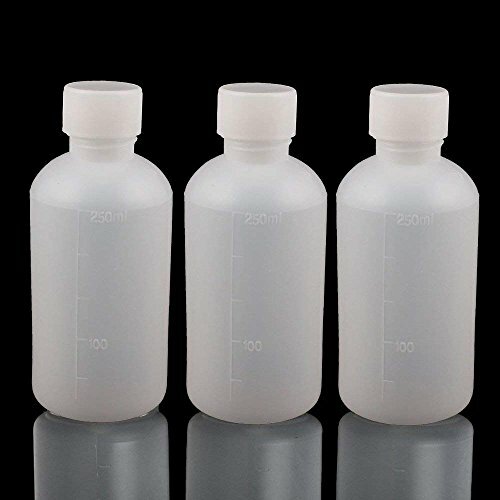 Great for packing all kinds of liquids, water agent, emulsifier, mineral spirits, corrosion resistance, this bottle is a professional medicine bottle. Small and convenient, easy to carry,perfect for travel. Mouth Inner Diameter: 24mm / 0.94"
Overall Size (Approx.) : 136 x 59mm / 5.35" x 2.32" ; Mouth Inner Diameter: 24mm / 0.94"
Screw sealing, good sealing performance with gasket,You do not have to worry about the contents will be spilling out. Good for many applications include industrial, laboratory, personal and hobbies. If you have any questions about this product by GDGY, contact us by completing and submitting the form below. If you are looking for a specif part number, please include it with your message.